The main aim of the project supported from the EHP Grant is to contribute towards the improvement of the accessibility for visitors, mainly for disadvantaged groups of citizens through a restored cultural monument – the Parič castle – and through an improvement of visitor infrastructure. The main target groups of activities in connection with publicity of the project are disadvantaged groups of citizens, young people, citizens from local communities and expert public as well as potential visitors from Slovakia and foreign countries. One of the partial objectives of the project is a restoration of the castle Parič monument including an implementation of a necessary research. Regarding an expected output and results of a programme, the project, alongside with a restoration of the Parič monument ruin is focused on improving of infrastructure and therefore fundamentally improving accessibility for the public. 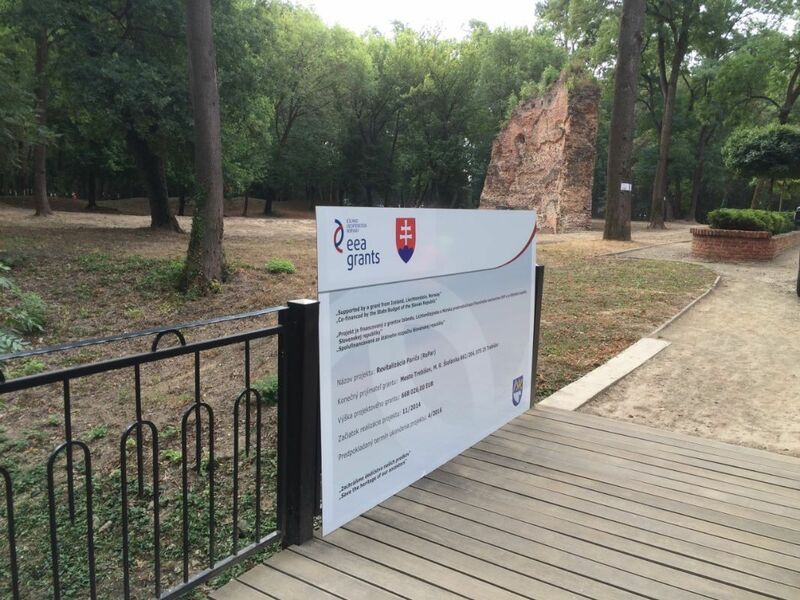 The city council of Trebišov will provide for an administration of a project implementation. Other project activities include: project and engineering works, including processing of supporting PD essential for a project proposal, a supervision of construction, and a process of a public procurement as amended by the act No. 25/2006 of a body of law about public procurement, subsequently amended. In order to assure the best possible project implementation, an external company is called in to manage the project. A delay of the project implementation occurred since there was an absence of a public procurement realisation for none of the project activities in the time of signing an agreement. Within the framework of the aforementioned reporting period, following public procurements were implemented – an archaeological research and an external project management. Moreover, two other calls for public procurements are planned, specifically, a project publicity and building operations in terms of the project. Within a monitoring period, no expenses were implemented, no employment relationship was created, no activities connected with the project implementation were done, no process of a public procurement was closed and no implementation of the project was started. 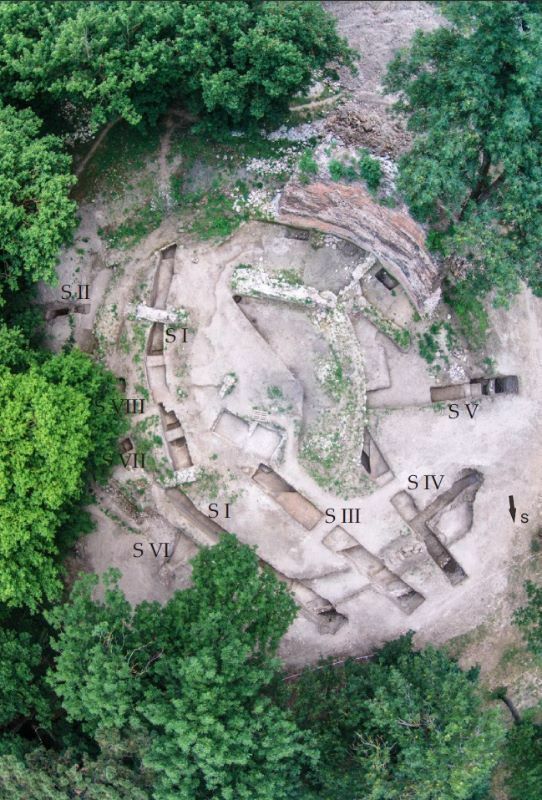 The archaeological research was implemented in the period from May to June 2015 by the company ARCHEOLÓGIA ZEMPLÍN, ltd. Its aim was to locate a total area ground plan of the inner and outer castle and all objects related to the castle. Furthermore, a state of mason work of the objects found during previous researches needed to be investigated or potential archaeological findings of all excavation works at a particular area need to have been noted. 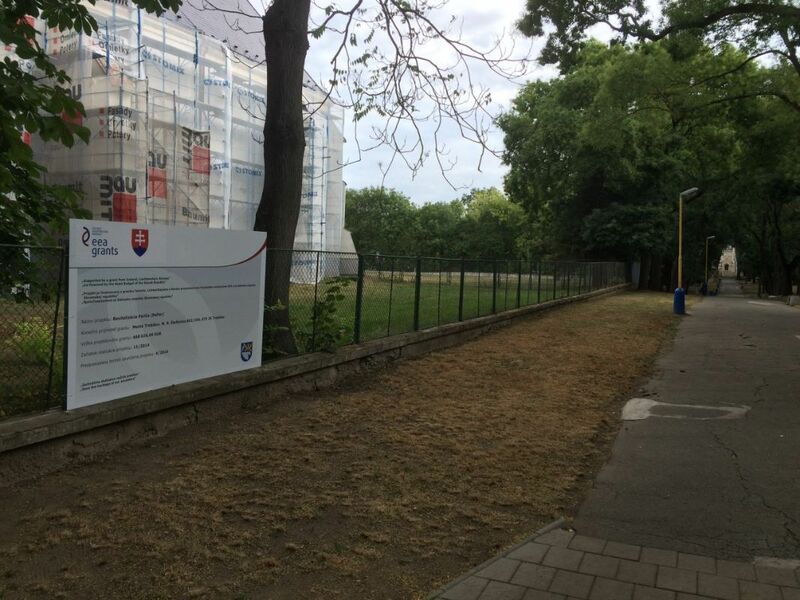 Within the framework of the aforementioned reporting period, a public procurement for building operations was called for the project named „Revitalisation of the Parič (RePar)“. The call for a public procurement was announced and sent to official public procurement report by No. 19105- WYP on 17/9/2015. Ongoing process of a public procurement for building operation is in its markup phase. Within the framework of the aforementioned reporting period, The Office of the government of the Slovak republic signed the amendment No. 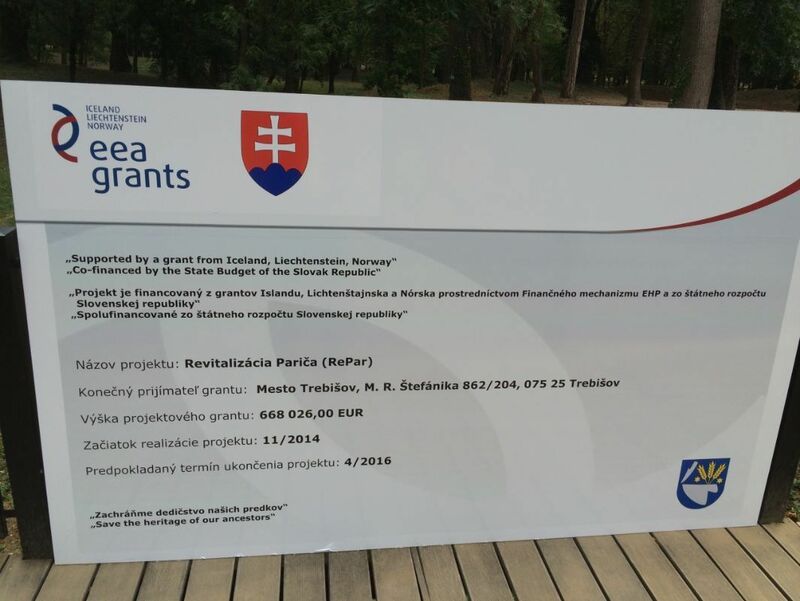 1/2016 of the project agreement with the No. 1124/2014 concerning a prolonging of the implementation closing date and implementation of eligible project expenses until 30/4/2017. The process of the public procurement for construction works was in progress within this period. As a result, the EURO-BUILDING Inc. was the winning construction contractor of that public procurement. Furthermore, the acts connected with the signing a contract for work were also in progress in this reporting period. 1. The Parič castle – walling of the castle fragment was in progress. A stone aggregate base for foundations of the castle ground projection was laid, moreover, the walling of the ground projection also started. Ground works are as well continuously carried out. 2. The main pavement – ground excavation works were done, electric wires were laid and the first layer of the stone aggregate was brought. The preparation for minor architecture was carried out (concreting of bench foundations, rubbish bins and public lightning lamp-posts). Curb setting and the second layer of the stone aggregate were done at the main pavement. Next, public lighting lamp-posts were set. 3. 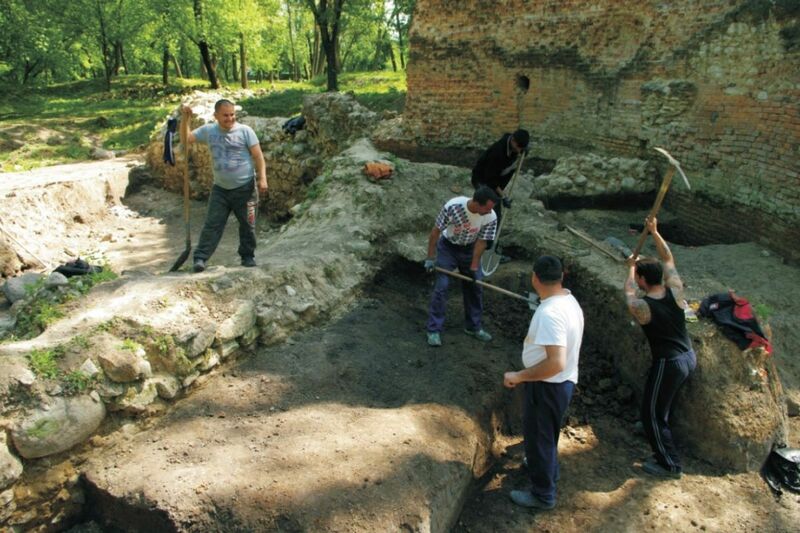 Access pavement to the mausoleum – ground excavation works and laying setting of electric and optical wires were done. The preparation for minor architecture (concreting of bench foundations, rubbish bins and public lightning lamp-posts). Furthermore, public lightning lamp-posts were set.